Compatible with Apple Watch 38 mmall Versions (2015 Release), allowing full access to touchscreen, camera, buttons, and ports. Designed with both protection and looks in mind, SUPCASE Unicorn Beetle PRO Series Full-body Hybrid Case provides shock absorption and scratch prevention while maintaining a sporty profile. View More In Smart Watch Bands. 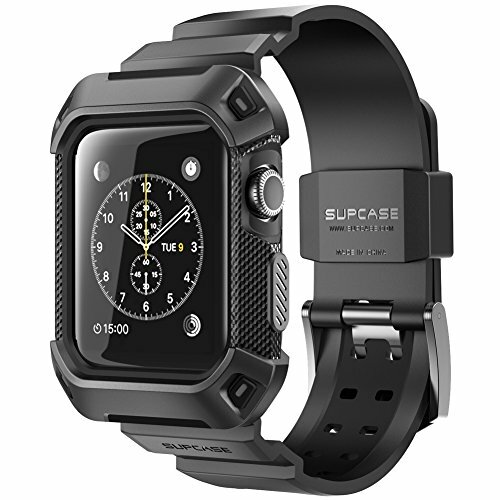 If you have any questions about this product by SUPCASE, contact us by completing and submitting the form below. If you are looking for a specif part number, please include it with your message.